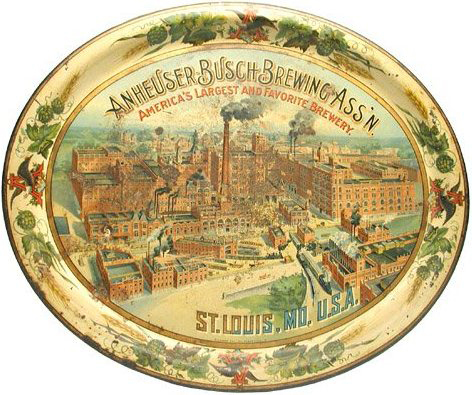 Serving Tray for The Anheuser-Busch Brewing Association from St. Louis, Missouri. The center shows a painting of the brewery itself. Text under the company’s name states “American’s Largest and Favorite Brewery. Hops and Barley are shown around the border.